"Priceless is what comes to mind when we think of our Gavilan College classes .... Respect, gratitude, and genuine human caring is what this program has brought our community. Our writing becomes a part of our healing." 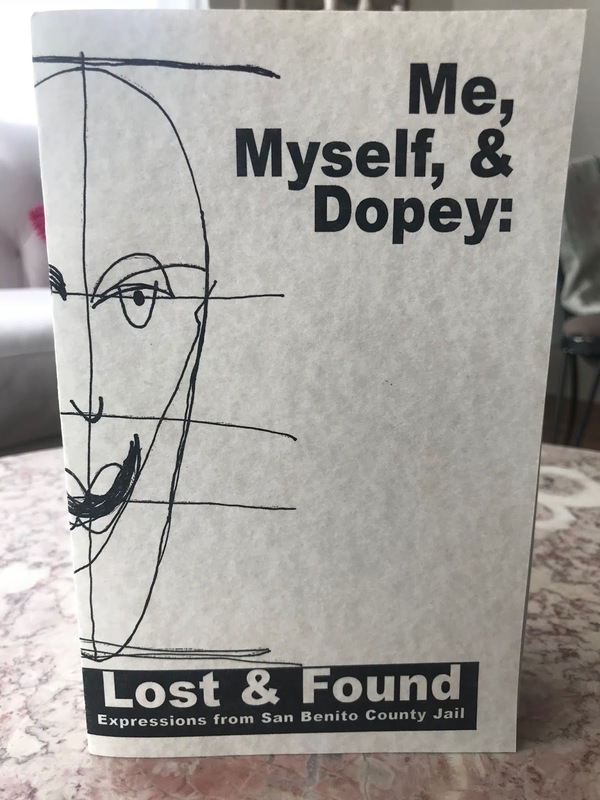 The writers of San Benito County Jail released two publications this spring: Creativity Takes Courageand Me, Myself, and Dopey: Lost and Found Expressions. Celebrations marking these publications are also a time to celebrate Gavilan College’s expanding inmate education program. At the jail, Gavilan offers classes in such things as GED preparation, creative writing, and career and personal development. Alongside the classes, there is a college counselor in place to help students set up long term education plans and help maintain their focus and hope while locked up. Having a place to land on the outside can make it much easier to avoid coming back, which is why across the state community colleges and universities are being supported to build programs like Gavilan’s. According to students themselves, the program has already made a difference. For example, Eddie Kaufman, who attended every creative writing class available to him this semester, managed to overcome his fears about bad spelling and grammar long enough to get his voice on the page––a first for him. 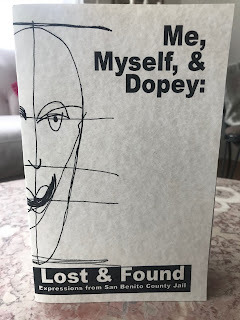 To read more of Kaufman’s work and hear from other writers’ published in Me, Myself, and Dopey: Lost and Found Expressions follow this link and watch this blog for more information about its publication alongside its sister journal Creativity Takes Courage at BenitoLink.